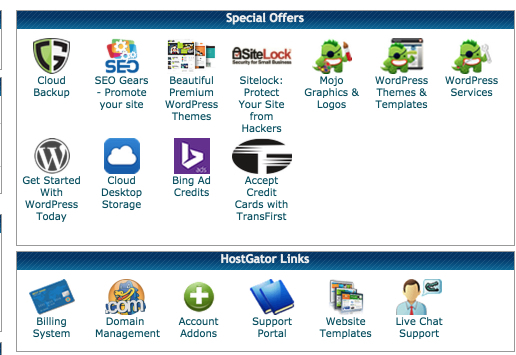 My HostGator Hosting Review, Should You Use it For WordPress? only to realize it is totally offline, you are not alone. If you are looking to potentially sign-up to hostgator with their lower end (cheap) packages, there are some things to consider. There is a growing concern within the entire hosting industry right now as the quality seems to be spiralling downwards by some of the most established and once highly regarded services out there. Downtime Reoccurences, 4 Blackouts in a Year! 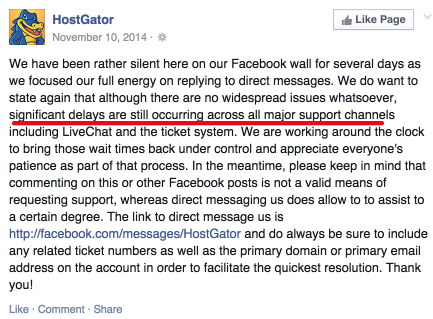 2014 was tumultuous year for HostGator users. The network experience some more very serious DDOS attacks by various groups costing their clients MILLIONS of dollars in business. Some of these outages were hours, some were even over a day in length. When many of their dedicated hosting clients (paying upwards of $400 per month to host their WordPress websites) said they had enough and were jumping ship, Hostgator had nothing to offer in response other than “attacks happen”. Here is just one of their Facebook announcements about their service levels not being up to par (and this one post had over 150 comments of people livid about the service they were receiving from Hostgator). Someone with a webstore that was completely down and Hostgator was totally unable to offer them any level of educated or helpful assistance. The first issue here is their service going down. The second issue, is once the service isn’t working and I am losing money as a customer is NOT being able to get a proper level of help to put my mind at ease. In fairness, DDOS attacks are triggered by a mass influx of traffic coming as a targeted attempt to take down services. It is highly illegal, but the hackers behind these sort of things are usually very good at hiding themselves. Unfortunately though if you are paying for a service like hosting, you expect the uptime to be in line with the 99.9% guarantees and in some cases that was definitely not the case. This is what is happening with the entire hosting world in general right now. There are so many different types of websites out there, that in order to be a GREAT host you have to specialize in one of these “types” of websites. Most hosts do not and the end up being the “jack of all trades” in the website world, which leads to mediocrity at the best times with their hosting. There are very specific things that need to be done from a hosting standpoint to offer a secure WordPress hosting experience and this cannot be done if you have a WordPress website along side a Joomla website along side a custom built website. It simply doesn’t work that way. Because of this, many folks have found their websites were constantly under pressure, they were always getting hacked, they were even getting malware put on them without their knowledge! Ultimately the experience can be very low quality one if you join a cheaper, lower end hosting plan (typically anything $10 per month or under). 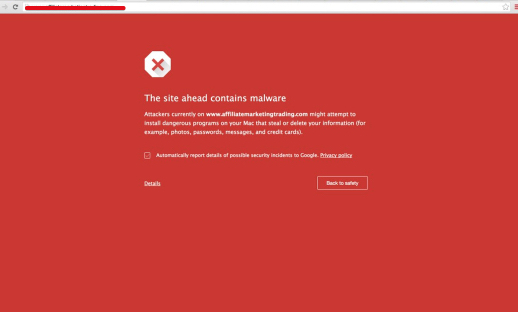 One thing that most people forget to understand is that if your website is loading slow, is getting hacked, or is getting malware put onto it, it is going to hurt your rankings in Google and other search engines. At the end of the day, HostGator does not offer specific managed WordPress hosting, rather they pile you onto servers with all types of sites (not good). In their defense though, as a website creator, a lot of your issues can derive as a result of what your “neighbour” is doing on a shared hosting plan. Because of this you want a host that holds full responsibility for the security and the performance of the servers…versus a “not my responsibility” sort of approach that many of the shared hosts are taking these days. If you are hosting a WordPress websites though, you truly need to consider a more premium hosting experience though that focuses PURELY on WordPress. This way your website will not only operate optimally, you won’t be stuffed on servers with other websites that are using completely different technology. I work with webmasters all-day-everyday and when I visit a website that is loading slow, the first thing I do is check their “whois” information to check and see who the web hosting company is behind their website. It is quote often a Hostgator hosted website. This is indicative on their focus to make money, which is OK, but at the cost of a customers quality of service is not always the best idea. If you do purchase one of their more expensive “reseller” or “dedicated” services, you can of course expect a much quicker experience but some of these services can cost you several $100+ per month when all is said and done. That is what you will find as hosting companies grow and as they acquire more shareholders that demand “profits”, they tend to focus only on the money aspect at any cost so they can offer returns to investors and venture capitalists. In this case it is YOU, the customer. You can rest assured that if you are buying one of the “el cheapo” packages at hostgator, you are probably getting one of the lower hosting procuts you could get. You get what you pay for and in the case of hosting on cheaper packages, you service quality is often compromised for the sake of more profits. Until you utilize a quality website builder, it is difficult to truly understand what you are missing. The Easy Control Panel and 1-Click Scripts are anything but EASY. If you take a look at this and think this is intuitive or a well integrated User Interface, you must be a programmer or someone with years of experience using Hostgator. For WordPress, there is 7 buttons alone. Two of the buttons are additional upsells (on top of the many layers of upsells that are already there). A common practice with web hosts is to delete or disable websites. The reason is, the hosting platform often puts too many sites on a given hosting instance (often times you are stuffed on a server with a THOUSAND+ other clients) that if your site starts getting too popular or putting too much load, they will take you down and tell you to host elsewhere or upgrade to a more expensive package. Lower end hosting packages delete websites all the time. This has been very common with folks hosting on WordPress sites on “el cheapo” packages. If your site breaks rules or is taking up too much room…loading too slow, they will have no problems enforcing action on your site or requesting that you upgrade to a much more expensive hosting plan. Good luck recovering your sites unless you have a budget for it. Most hosting companies charge for backing up your content, so this is not to bizarre but it is something that most people don’t consider before getting themselves a quality hosting service. Backing their hard work up! Hostgator offers a service called Cloud Backup which runs you up another $239.95 per year (maximum) if you want their top back-up plan. They do not offer a fully redundant, backed up solution out of the box. So in essence, if you don’t pay more for their backup “upsells” then you probably are going to have a tough time sleeping at night knowing very well that if for some reason your website is deleted (by accident, hardware failure, or by a hacker), you are going lose all of your hard work and subsequently your business. Because of the nature of affiliate payouts and expensive server technology, Hostgator hosting is likely operating on thin margins, so they cannot afford to “include” this sort of quality as part of their service. Upselling it within the back end leads to much more profitability. You can access this sort of hosting and host up to 25 of your own domains and 25 free websites using the SiteRubix platform which is included inside of the Wealthy Affiliate community. If you are looking for an all-inclusive training, tools, websites/hosting and support platform, then I encourage you to at the very least check out the Starter program at Wealthy Affiliate. It is completely FREE and the Starter program includes 2 free websites and will give you an awesome taste of what you can come to expect at WA. The Premium “everything included” membership is $47 per month. You will also be able to move your websites over from HostGator or any other hosting service if you are unhappy with your existing service. The 24/7/365 support that is available to you can help you out. Don’t let your hosting company dictate your website success, they should be the ones that facilitate it. If you have any feedback about your hosting experiences with Hostgator (either positive or negative) that you would like to share, please drop them below. Also, if you are looking to get a website up and running and have questions about that, I would be happy to help you out. At the end of the day, Hostgator has been and will likely remain an industry leader in the hosting space and if you are looking for budget hosting they are definitely a good option. With lots of happy customers (which there no doubt are many), comes some that are unhappy as well. Just be careful when you see a “low ticket” web hosting plan, you often times do get what you pay for. I couldn’t agree more with you that Hostgator really doesn’t care anymore about their customers. They have just turned into a big corporate giant that was bought out by EIG in 2012. EIG owns tons of host, and they put a lot of dirt on once good companies names. I used to host with them 3+ years ago and slowly started to notice that the level of service has drastically went down hill over the years. I had a VPS with them and the site only got 200 unique visitors per day and Hostgator suspended my account for high resource usage. Not to mention, I used to promote them through their affiliate program and they started reversing sales. At one time they reversed 2,900 worth of sales. I even had a friend test one out and it got reversed because they told me the customer cancelled their account. Since then I warn others about hosting with them, and even promoting them through their affiliate program. Lots of crazy stuff going on there Garen and all too common these days, not just with Hostgator but this is a model that has been instituted by most of the BIG hosting companies out there. Definitely anything within the EIG umbrella will behave in this sort of manner. Jacking your fees or forcing you to move to a much more expensive hosting package if you get ANY traffic is happening all over the place. They are doing a good job getting people into a CHEAP hosting package then holding them for ransom with all of their websites if they get any traffic. You have to pay $50-100 per month (if not more) if you want to continue to keep your site live. Godaddy is doing the same thing. I have also had BAD experiences with their affiliate program in the past, funny you mention that. I remember after they started reversing my commissions I went online to find out that they are doing this to MANY others. I guess they are in the business of making money and if that requires them to take money from others. Thanks for your feedback and insights into HG. 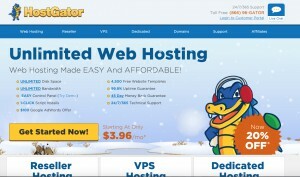 We just moved our hosting from Godaddy to Hostgator. However, we haven’t experienced any problems yet (even toes crossed) that we experienced with Godaddy. And you very well may have a wonderful experience within HG, however if you are on their shared platform you cannot expect the highest level of hosting and you will be vulnerable to attacks on your “neighbours” websites. I hope you have a good experience and I am sorry to hear about your horrible one with GoDaddy. You do get what you pay for these days and if you are paying under $10 for hosting, chances are it will be bottom of the barrel. I was a Host Gator customer years ago and when I decided to stop using the service, I simply allowed the account that were drawing the monthly fees from run dry. As expected, my hosting was canceled. Then, 10 months later when I wanted to start using them again, they wanted me to pay them all the money they would have billed for those 10 months! Pay for a service I wasn’t provided? Seriously? I think they’re a joke. So for you guys, there’s the poor,and the rich. what comes in between? A good host at less than $50 a month for the guy starting out and looking? There isn’t the poor and the rich, rather there is quality, secure hosting and there is budget hosting (which is truly where you get what you pay for). By all means you can get a $5 hosting plan if you like, but just be forewarned that if you get too much traffic you are going to be contacted by Hostgator and required to upgrade to a much more expensive package or be booted off of their service. Your website, in particular if you are hosting WordPress websites, are vulnerable to hacking even on their dedicated services as well so you can expect regular blackouts with their service and a considerable amount of downtime. Why? Because WordPress is not their speciality. Making money off of hosting is and they are run like a true “capitalist” company where they capitalize on consumers and as a result their overall hosting surface suffers in terms of quality. Just remember, hosting is the foundation of your business operations. Paying $40-50 per month to run your business on a quality host and being able to rely on the quality of that service is a small price to pay versus having your website hosted on low grade provides like HostGator where your websites are vulnerable to hacking, security holes, performance issues, and downtime. I have a resellers account with Hostgator, which accommodates my 30+ websites. Who’s the heir apparent to Hostgator ? I’m not sure I even know when any of my websites are down because of Hostgator problems — how do you monitor ? It will actually even notify you right to your mobile phone when your site is down via text. This way you can keep a good eye on your websites and the “service” that you are getting with Hostgator. It’s the part about internet marketing/SEO training that interests me the most in this article. I’ve been trying to rank my Amazon affiliate site for more than 2 months now bu it’s stuck on the 3rd page of Google and won’t move no matter how many backlinks and social signals I send to it. I would gladly join Wealthy Affiliate if you can help me get to the first page of Google. You are still working on getting backlinks John? That is your first problem right now. If you WANT rankings online, you don’t want backlinks. Whoever told you this or whatever company is doing this for you is delivering outdated information. Quality Content, a well organized site with ongoing engagement and dialogue is what will lead to rankings online. At Wealthy Affiliate you will learn how to properly build out your website in a way that ranks in Google and other search engines and how to properly create your content based on low hanging keywords to build your base of traffic. Will you rank under every keyword on the 1st page. No. Over time though you will have 100’s if not 1,000’s of rankings in the SERP’s delivering you enough traffic to drive a full time business. WA will teach this and provide you with absolutely everything you need to scale your business online. My view of HostGator declined somewhat a couple of years ago when I cancelled my membership with them as I was moving over to WA. I canceled near the end of the monthly subscription and I felt there was enough time to cancel before the next renewal bill cycle would take place. Also there was no real argument on the cut off date apart from allowing a few days for the cancellation to take place. Well a few days came and went, and in my world a little too late, as the renewal billing cycle took place and I was charged for the next month. On the same day or a day after they then cancelled my Subscription as requested. I didn’t challenge what they did as I felt they would just argue that I cancelled too late. Is this an ethical way to run a business? Certainly they have now lost a customer for good. Reading your interesting article, it looks like karma has come back to haunt them! This is a very common complaint over at HostGator, you are the 2nd person this week that has been having issues cancelling their hosting package. They have been taking days (sometimes longer to respond) just so they can capture you in the next rebill cycle. You shouldn’t be subject to another monthly billing because of their low quality support. Definitely not an ethical way to run a business and this sort of ruthless and unethical practices is what is happening over at hostgator and other hosting companies in the industry as their level of service diminishes and their profitability diminishes. Hi Kyle and everyone here! All you said about HG is absolutely true and perfectly fits in my experience except someone was stated that he had been billed after cancellation. I had such a situation before with other monthly payment not HG. With HG I simply change payment method to almost empty CC. Regardless from this HG still is sending me monthly bills for about $30. I wondering how long? No I enjoy WA-all included on high level. I hope you are able to cancel. I have heard many others complain about payments that drag on from Hostgator beyond their terms as well and they can make it very difficult to cancel. Another thing that one should expect is that although they buy into $5 hosting packages, as soon as you get any amount of traffic you are going to be “pushed” into more expensive packages, be upsold other products/services that should just be included, and ultimately the $5 cheapie hosting becomes more of a nightmare! I have felt the pain hostgator has put on my personal business. I have been running a webstore (run on a wordpress framework) for 9 years now and it is very successful netting me $45K+ per month. When you are doing this sort of business, you expect the highest quality hosting service and the reliability. That is why I actually moved to a dedicated hosting solution over at HG in 2011 because I was having issues with lunarpages.com hosting plan. Well, 4 years later here I am. As frustrated as ever, I am seeking out a new solution. Hostgator has had no less than 5 complete outages for me in the past year. This costs me $1,000’s in income each time this happens, so on top of the $4K or so per year I pay for hosting…they have probably lost me $20-30K in business minimum in the past couple of years. My website load times have been going downhill. I haven’t noticed too much with my rankings yet, but I can only expect my slower loading times are freaking the search engines out. Thanks for bringing some realism to what is going on within Hostgator. All you tend to hear out there these days is ra ra because they are getting paid good money to promote this below par service. I’ve never gone near a host that wasn’t WordPress friendly, and even then, I’ve never used their one-click installers. The WordPress five-minute manual install is easy enough! If you are comfortable with the manual process of installing WordPress, then you could continue doing that. I know that a lot of people are worried about “installers” because many of them install junk onto your sites and don’t actually work properly. If you do get a chance, I highly recommend you check out the SiteRubix.com platform though, very easy to use and a very simple installation process. How is Hostgator a horrible service? Let me count the ways. As someone that’s hosted with them for 3 years after moving from Fatcow (an even worse hosting service), I know plenty about them and the way things are run and why I no longer recommend them. 1. Unlimited hosting is not truly unlimited. For their shared hosting packages they reel you in with the big ‘ol “unlimited” sign, but once you start collecting websites and growing them, they start to reveal what it actually means. Sure, they don’t limit files sizes, but they limit the actual number of files you can store (inodes). I was curtly informed by their staff that that this is common and no host can offer truly unlimited hosting. Well, don’t advertise it that way then. 2. Many incompetent employees. Since I have numerous issues with my websites for whatever reasons, I call HG at least once a month. Sometimes I get someone that can solve my issue quite quickly, but more often than not the phone staff serves as nothing more than a gateway to ticket support. I am constantly put on hold while they consult their ‘database of answers’ of whatever they do while I’m on hold. The vast majority of the time they have to pass me up to a more experienced person which means I now have to wait several days for ticket support to respond. 3. Wait times. I spent over 3 hours on hold one time while my site was down (on the phone). Why do I call phone support so much when they have a live chat feature? Live chat waits are usually more than 30 minutes long. This wasn’t the case before, but now it seems to be the standard. In a similar vein to #2, I used to get some pretty savvy people in chat. Now, I just get guys that are really good at creating tickets for me. 4. Downtime. In 2014 I can’t even remember if it was 2 or 3 major outages they have. It’s happened so much, that now every time my site goes down (yes, it happens a lot), I scan twitter and Google+ to see if there’s any chatter about HG’s service going down so I know if it’s just me or if everyone is having this issue. My site’s go down on average about once a month. The reasons why they go down is still a mystery, as each person that I talk to has a different reason. I could probably do fine with a VPS level 3, but an employee back in the day told me that if I upgraded to level 4 that it would fix my issue. Nope. Then another guy said that it was because I didn’t have a caching plugin installed. Another one told me it’s because I get too much comment spam to my website. It’s only become clear to me recently that these were “best guesses”, and no one could provide any insight into issues that were happening let alone help me fix them. Hey, if they could tell me it’s my fault and point out what I’m doing wrong, that would be awesome. At least the problem could be fixed. 6. The most recent debacle, the straw that broke the camels back, was where an employee changed the password on one of my security features and didn’t change it back to my original password. I got locked out of my site. After an hour on the phone the next day, the 2nd employee couldn’t figure out how to change it back. After contact various live chat support people over the next 2 days, I finally got one that was able to fix the password issue in 5 minutes. If my websites are down, I can’t get a hold of live chat, phone support is incompetent, and ticket support can’t decide what the issue is, what’s the point of paying them over $1000 a year to host my websites? Bye bye Hostgator. It’s been a long time coming. Awesome insights Nathaniell, thanks for sharing your personal hostgator review. You hit the nail on the head with the entire “business model”. Upgrade and it will fix the issues. This is something that I found all too common in the hosting industry, within Hostgator being one of the leaders in this upsell process (they have definitely refined their process). They claim their service is great until you actually get traffic to your website, then start to tell you that you need “a better package” until you have moved from $1.99 per month to $100’s per month. The shared hosting is ridiculously low quality, if people only had a clue as to what they were really getting. The downtime is unacceptable as well, many are complaining about downtime and blackouts with their hosting, although it has gotten better with recent months. Sure, this sort of thing will happen with any technology (even Facebook goes down on occasion), but hours at a time…days at a time…and full network blackouts. You think that a host of this size would have a better grasp on this sort of thing. Here is thing what happens with many companies as they go through “buy outs” and become part of one big conglomerate (Hostgator and many hosts are owned by Endurance International Group). A service can suffer when it is bought out, something that happens across all industries They lose sight of what got them to where they are and honestly, the stop caring now that they are part of one big massive entity. The exact same thing happened after GoDaddy was bought out. Sorry to hear about your crazy debacle RE: your password, I know of two other people that this happened to in the past week so this must have been something more widespread. Frustrating and I think you are going to be much happier once you move your business over to a new hosting platform. I recommend something that offers a WordPress specific managed hosting solution. All unlimited hosts out there do one basic thing to limit you: They cram all your sites on the same server, so that the customers who they’ve put together on a single server will all reach a limit of what the server can handle as they add domains. The customer to add the most domains first wins the prize of reaching the server’s capacity, then after that, all sites on that server will have problems going forward because the server resources will be indefinitely max’d out. On the other hand, Siterubix never does this. Siterubix will distribute an individual customer’s sites across many servers, and as new servers come available, your new sites will go to them. I blogged about leaving hostgator a few months ago (after being a loyal customer and affiliate for 7 years!). To be honest they were a pretty decent company until 2012 or so, then it went down the hill. When I finally cancelled my account, they still tried to charge me for a renewal, although my renewal was coming up in 2 weeks! Luckily for me the credit card on file was expired so the payment didn’t go through. Whenever I get a chance I always tell people to NOT go with Hostgator (or any other EIG owned company). Wealthy Affiliate hosting with SiteRubix platform is a great choice for hosting, especially because folks can have 2 sites completely free (and ad-free). Yeah, as they continue to let their shared hosting prices get even cheaper and their “not so dedicated” servers, the quality continues to spiral downwards. What was once a pretty good service has slowly dwindled. Still one of the definite leaders in the industry, but not without lots of downtime, slow loading times for sites, people getting locked out of their servers and sites, security holes, and that is not to mention complete “day long” blackouts. The foundation of a business is built off of quality hosting. It is the last thing you need to worry about when trying to focus on building out your business, but unfortunately the hosting has dropped the ball for several folks in this respect.